We’ve all thought about becoming a better person, but Toronto’s Ben Kunder is putting his mouth where his heart is. 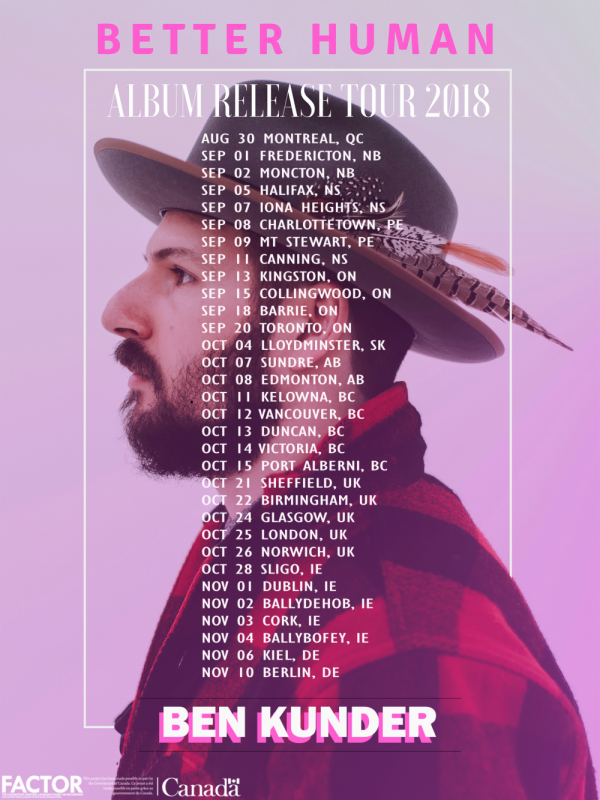 His new 9 song album, Better Human, focuses on that universal theme through it’s warm alt-folk sound and incredible storytelling. Listing in while Bondo checks in with Ben Kunder about the new album and the East Coast tour!